A CMS (Content Management System) is an application that allows users organize, manage, edit, publish and create a website easily. This powerful tool can help you to easily setup websites in minutes which are both scalable and customizable. Content management systems (CMS) are very popular these days and are used to run sites like ecommerce, blogs, online magazines, social networks and enterprise sites all over the world. There are several popular PHP content management systems are available such as Wordpress, Joomla and Drupal etc. Wordpress is the most popular blogging platform and for bloggers, there is no better choice than wordpress. It is best suitable for non-technical users and allows users to easily configure and manage content. Anyone can set up a wordpress blog in minutes and install and change themes without disturbing the content and structure of the site. Plus its wider array of plugins allows users to extend and customize the functionality of wordpress websites without hassle. Fundamentally a blogging platform, wordpress has been evolved into a complete cms solution in the recent years. 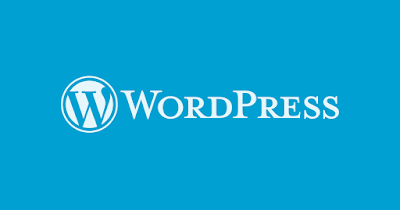 Wordpress is rich in plugins and themes and allows users to build any sorts of websites. Even building an REST API backend is possible now with wordpress. Drupal is another best php cms that powers millions of websites and applications. This is the content management system for developers and comes with steep learning curve. Drupal is powerful and versatile and gives lot more freedom to developers. With the release of Drupal 8, the CMS now focuses on modern web-development practices and offers Symfony 2 components, Composer packages and Twig template engine. Drupal is highly scalable, modular and developer-friendly and has been the popular choice of developers to build feature rich, data-intensive applications. Joomla is an award-winning content management system based on PHP. Like Drupal, it’s very popular among developers and has high learning curve. Its communuty is large and offers thousands of extensions to build robust and powerful online applications. While wordpress plugins are centered towards blogging, Joomla plugins are versatile in nature and provides complex functionalities. It is highly recommended for building online stores and large social networks and other web applications. MODX is one of the most creative and flexible content management system for web platform. This open-source cms is based on PHP language and comes under GPL licensing. MODX is very easy to install and use and let you build sites that provide exceptional user experience. MODX gives you complete control over the application and easily scalable to adapt growing requirements. Concrete5 is another best php cms. Claimed to be the Next generation Content Management System, Concrete5 is extremely powerful and comes with an easy-to-use admin panel. Managing your content is never that easy. It has a great supporting community and lined up with wide array of plug-ins, add-ons and themes. Concrete5 user interface is very easy to use, and let you build and manage any sort of websites right from ecommerce to magazines and enterprise to personal sites. CMS like drupal or wordpress is great but they will be too much if you want to build a small website or a personal blog. The rich functionalities of a traditional cms are not required in this case. What you really need is a lightweight solution. Grav is a popular flat-file cms and can be a best alternative. It is smart, speedy and light-in-weight and stores website data inside files and folders and does not require database. You don’t even have to install the cms; just upload the files to the web-server and your website is ready. Grav supports markdown editor and all your WebPages are stored as .md files. Grav cms offers twenty something readymade themes and several plugins to extend the functionalities of the website. It also supports Twig template engine so if you want a custom theme you can easily create one with some knowledge in html and css. My favorite CMS is WordPress. Because it is easy to use and have more flexible. It's also allow you to create fully functional websites. So it is the very important reason why WordPress is so popular, now these days. There are currently 30,000+ plugins & 2000+ WordPress themes available for free. You can easily download, install and use them on any website. Great post, all these are wonderful CMS, I used WordPress among them and it was a very good experience , you can design a full responsive and attractive website with the help of WordPress. We provide professional website designers for better customer experienc. Find out how we can help you to build a new website for your business at affordable rates. Great post, all these are wonderful, I used WordPress among them and it was a very good experience , you can design a full responsive and attractive website with the help of WordPress. Learn how to build a website in Australia with the top content management systems! We are the expert website builder in Australia having over 10 years of experience. Discover more from our website. The blog which you have posted is very informative to us. Thanks for your information sharing with us. Great Post. I was searching for such a information. Thanks for bailing me out. Excellent and useful blog about web development. It gives lots of information to me, keep updating your blog. It's very excellent concept! Really too good and i got very useful information from your blog. Thank you so much.